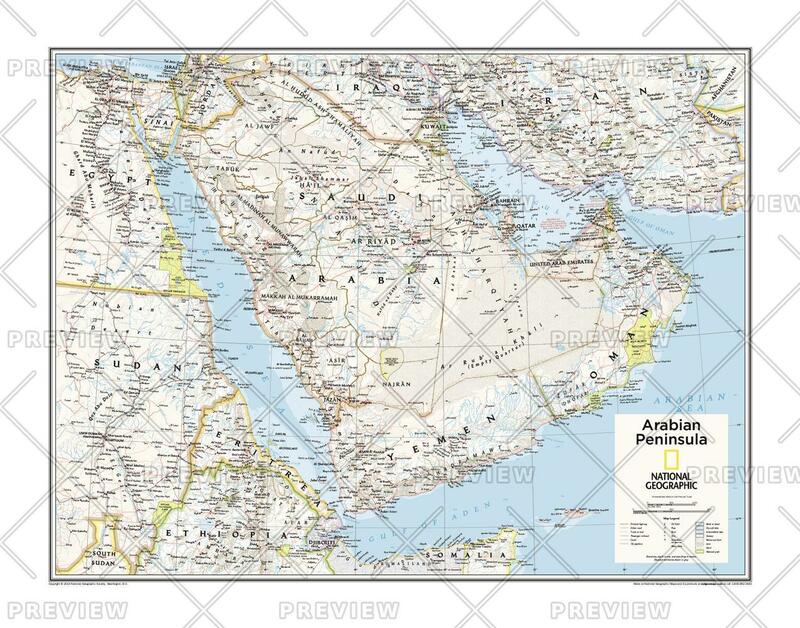 Map of the Arabian Peninsula by National Geographic. Measures 22″ x 28″. Printed on heavy-duty 46# paper and laminated with heavy-duty 3 mil laminate. Map is customizable and can be printed at larger sizes; email info@mappingspecialists.com with your request.